The 30th meeting Management Board of the European Asylum Support Office (EASO) met in Vienna at the premises of the Austrian Ministry of the Interior to discuss the ongoing implementation of the Agency’s Governance Action Plan and adopt its 2019 work programme. The meeting was the last to be chaired by Mag. Wolfgang Taucher, Director of the Austrian Federal Office for Aliens and Asylum (BMI), as his term is soon to expire after a total of eight years of service to EASO. Mag. Taucher took up the post of Chair of the Management Board in February 2013 after serving as the Deputy Chair since the first meeting in 2010. He has been an institutional compass for the Agency and has skilfully guided the Management Board and EASO through various challenges. Most notable of these was the so-called 2015-2017 ‘migration crisis’ where EASO was called on to quickly and dramatically step up its operational assistance towards Italy and Greece despite resource limitations. Mr. Jamil Addou, Executive Director a.i. of EASO, thanked Mag. Taucher, who will remain the Austrian representative on the Management Board, for his tireless leadership, highlighting that his hands-on approach and dedication had instilled a culture of genuine ownership of the Agency’s work in the Management Board. Mr. David Costello, who is the Deputy Chair of the Management Board, will take over as Chair until a replacement is elected. The Management Board also dedicated significant time to reviewing the ongoing implementation of the ambitious Governance Action Plan designed by the Agency’s new management, which is aimed at ensuring that governance, and administrative procedures at EASO are carried out to the highest standards, while also ensuring trust in the Agency. Furthermore, the delegations discussed ongoing work on the 2019 Operational Plans for EASO’s operations in Cyprus, Greece and Italy, all of which are due to be signed with the respective authorities in the coming weeks. Notably, EASO is in the process of stepping-up its assistance to Cyprus, including in terms of reception, assistance in the management of backlog and registration, as well as the provision of training and study visits. Finally, the Management Board approved the Agency’s Single Programming Document 2019-2021, including the 2019 Work Programme and Budget. 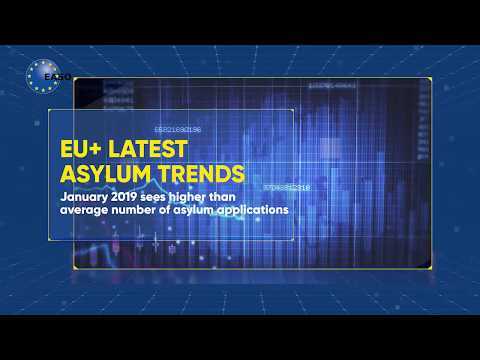 The plans also account for the possible transformation of EASO into the European Union Agency for Asylum, with a significantly expanded mandate, should co-legislators conclude negotiations.